The Gallery on Wells is unlike any other luxury apartment building in the city. 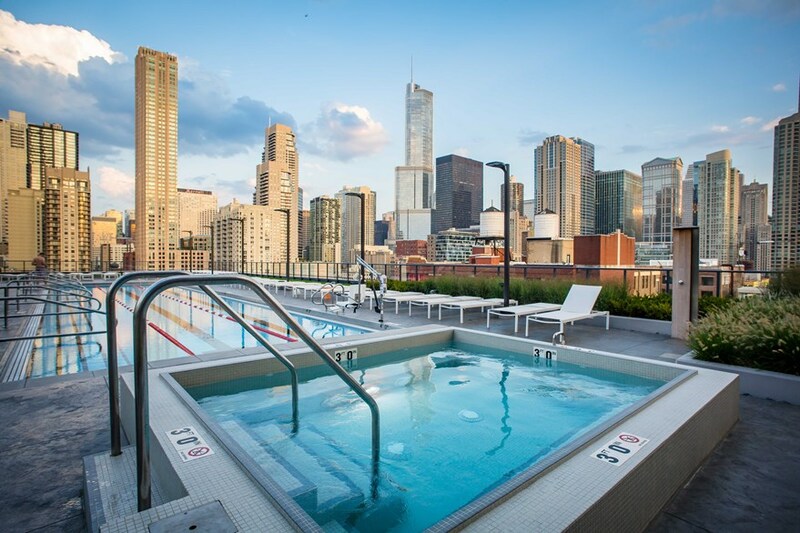 It’s located in the very popular River North neighborhood on the corner of Wells and Erie. Developers Magellan Development Group and MAC Management created a beautiful 39-story building featuring 442 units and an impressive amenity deck. This building has everything a renter would dream of, and more. One of, if not, the most interesting attributes that this building has to offer is its inclusion of arts culture. Magallen Development Group created a one-of-a-kind building amenity by introducing the Artist in Residence program, which hosts artists to live in the building rent-free for a year in exchange for their contribution of art to the building. This program was created to enhance the lives of its residents while also promoting the rich arts culture represented within the area. River North is known for its gallery district that hosts 20 art galleries radiating from the intersection of Franklin and Superior. 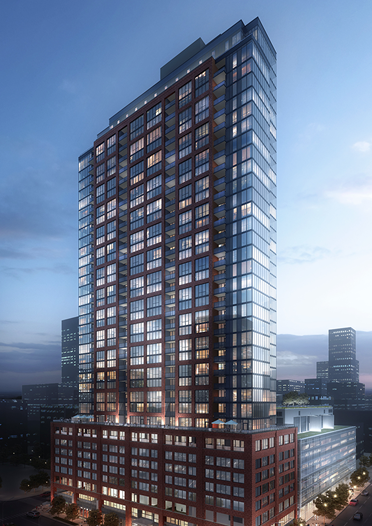 Residents of The Gallery will be able to experience art right from their apartment building! The first artist to live-in is Luis Ramirez, who is known for his work with graffiti. He moved to Chicago when he was 13 and later attended the Illinois Institute of Art. As a resident of The Gallery, he will contribute his works of art to the building; offer fellow residents lessons in fine art, graffiti, and mural; and, host a variety of art events. If that doesn’t impress you, then the long list of amenities sure will. 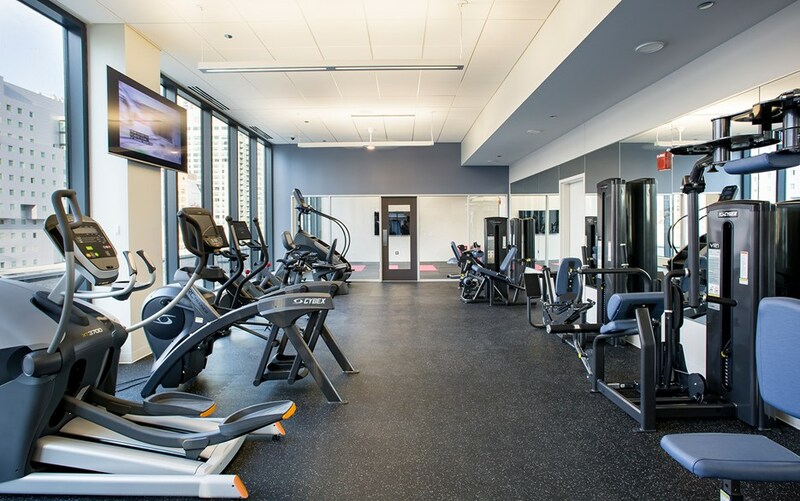 The Gallery on Wells features one of the city’s largest amenity decks including a 25-yard lap pool and hot tub; grilling stations; state-of-the-art fitness center and yoga studio with private lockers and showers; and, a sauna. For residents with pets, The Gallery has a covered dog run and grooming stations. Other amenities include a library, bike room and repair stations, and a resident lounge featuring rooms for games and private work. This amenity deck also give residents indoor access to public eateries such as Dollop Coffee Co., Wildfire and Taco Joint. 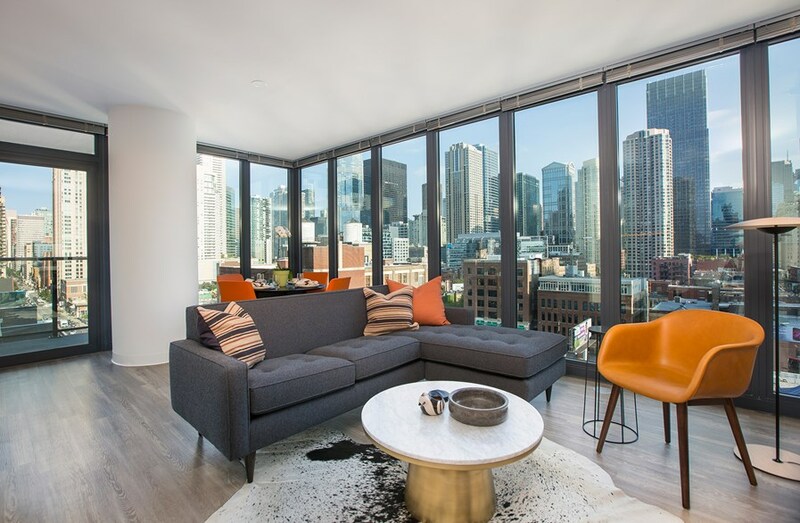 This building offers studio, convertible, one, two, and three bedroom apartments all styled to reflect urban living. 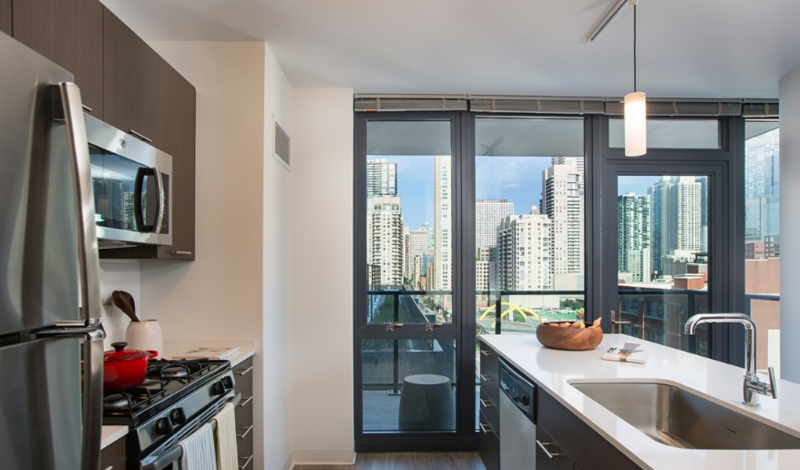 Units feature hardwood floors throughout, stainless steel appliances, beautiful quartz countertops, washer/dryers, and select units have private balconies to gaze at the incredible city views. These apartments also offer keyless entry through smart phone compatibility to put the cap on the modern appeal.